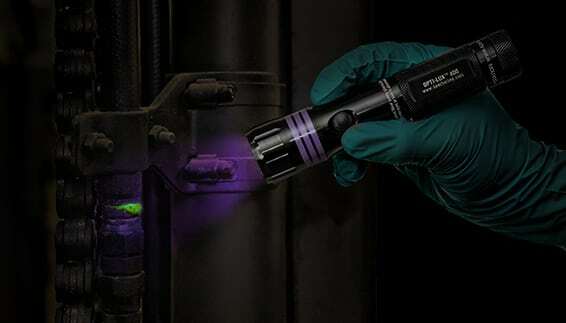 Using fluorescent dyes and ultraviolet technology for leak detection is a simple and smart investment. 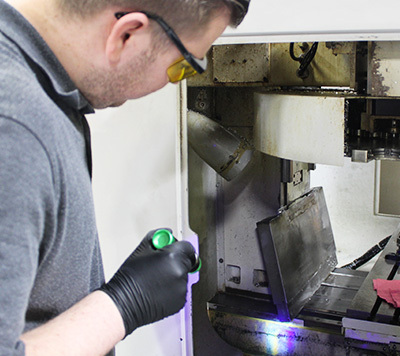 As well as finding leaks our fluorescent dyes work as a preventive maintenance to your system and will reveal leaks in the future. Drag slider to the left to reveal leaks. Fluorescent leak detection made simple. 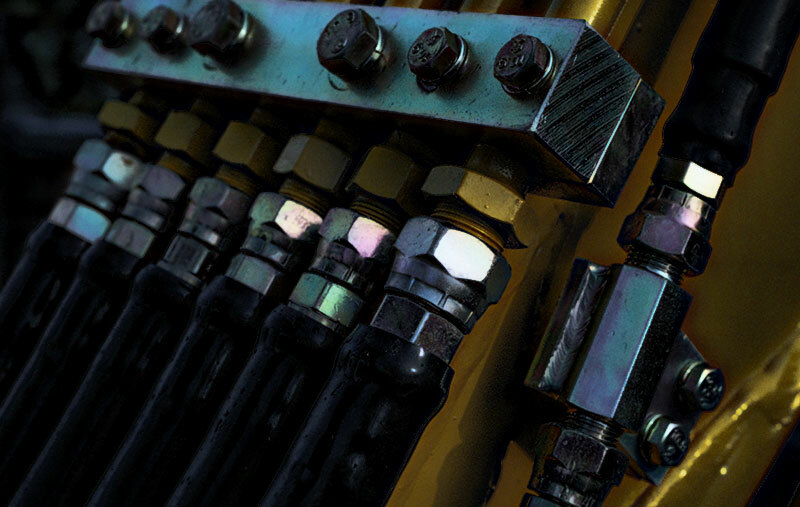 Whether it’s oil, water or hydraulic fluid, leaks impact both the environment and your bottom line. Undetected leaks can lead to equipment breakdown, lost production time, safety issues, and even fines and legal penalties. 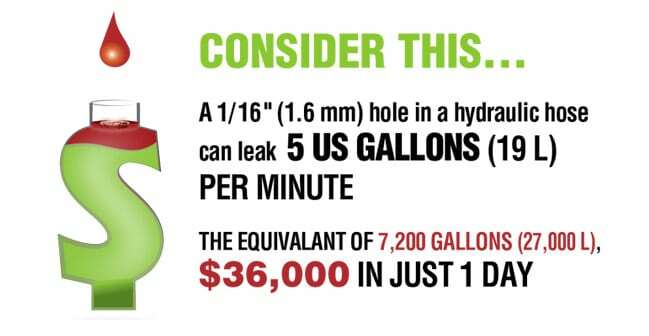 That’s why it is so important to find and implement a safe, efficient and cost-effective leak detection program. 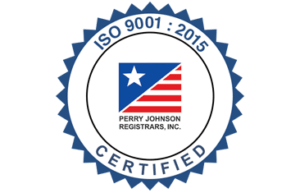 Here are some testimonials from industry professionals relating how Spectroline® products quickly and easily resolved their leak detection issues. 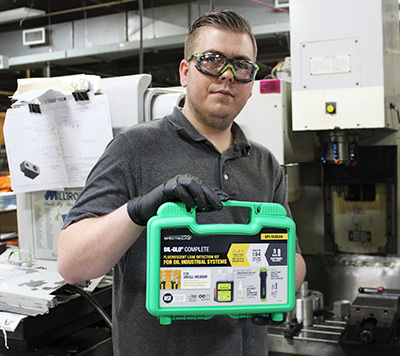 “In my industry, we need black lights to check for hydraulic oil, engine oil and antifreeze leaks. The OPTI-LUX™ 365 exceeds our expectations. It is compact, lightweight, cool to the touch and provides a good viewing beam up to 5 or 6 feet (1.5 L- 1.82 meters). Looking forward to the next generation of UV LED inspection lamps from Spectroline®”. 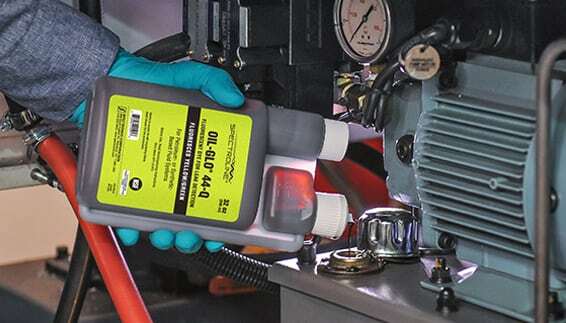 Fluorescent Leak Detection that Works. Proven ROI. Fluorescent leak detection in 2 steps, the best leak detection method to find multiple leaks. Add/inject fluorescent dye into system. 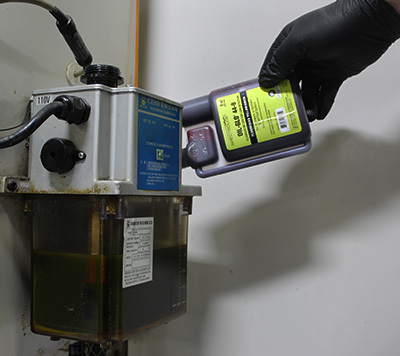 Use UV lamp to inspect for leaks.